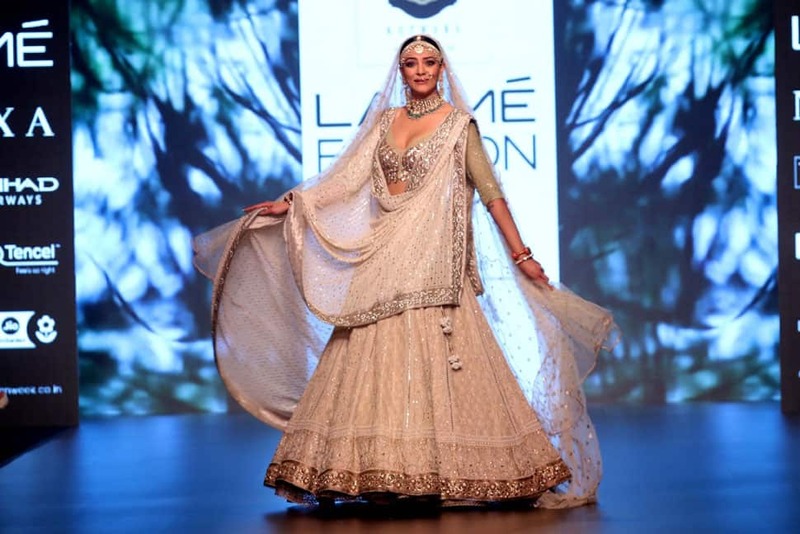 Sushmita Sen looks stunning in designer Meera & Muzaffar Ali's creation as she walks the ramp at Lakme Fashion Week Summer/Resort 2018. Shilpa Shetty walked the ramp for designer Jayanti Reddy. 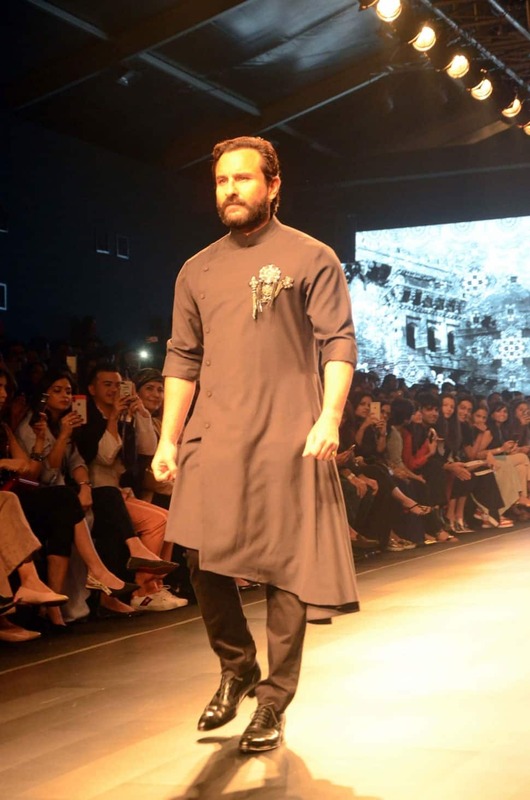 Saif Ali Khan walked for designers Shantanu and Nikhil. Mohenjo Daro star Pooja Hegde walked for Ridhi Mehra. 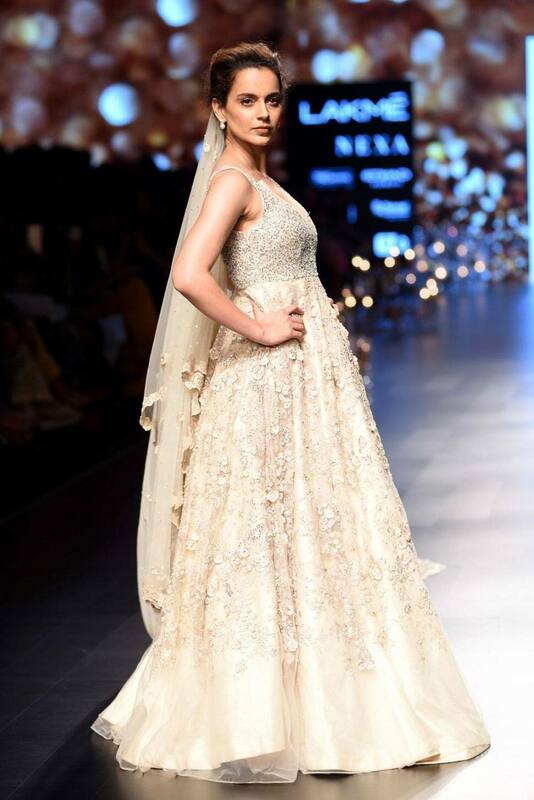 Kangana Ranaut walked the ramp for designers Bhumika and Shyamal Shodhan. Bipasha Basu Grover dazzled in red for designer Resham Kunhi. 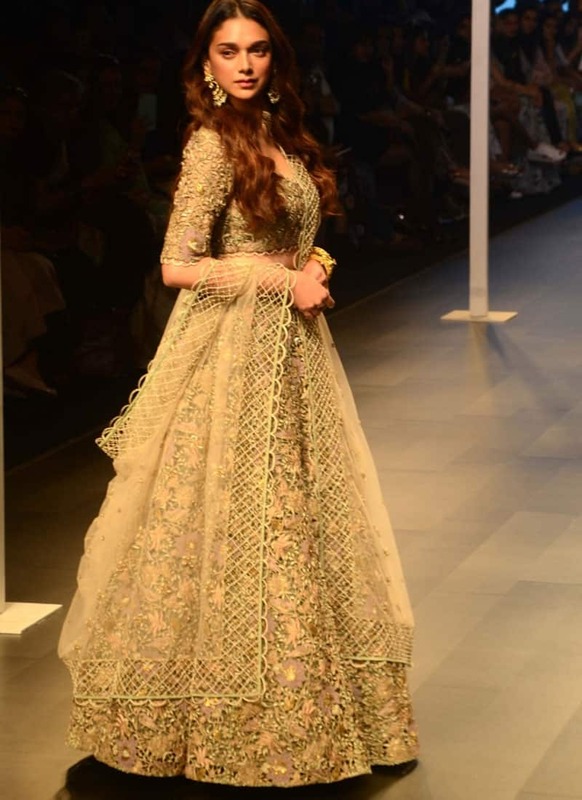 Aditi Rao Hydari walked the ramp for designer Payal Singhal.